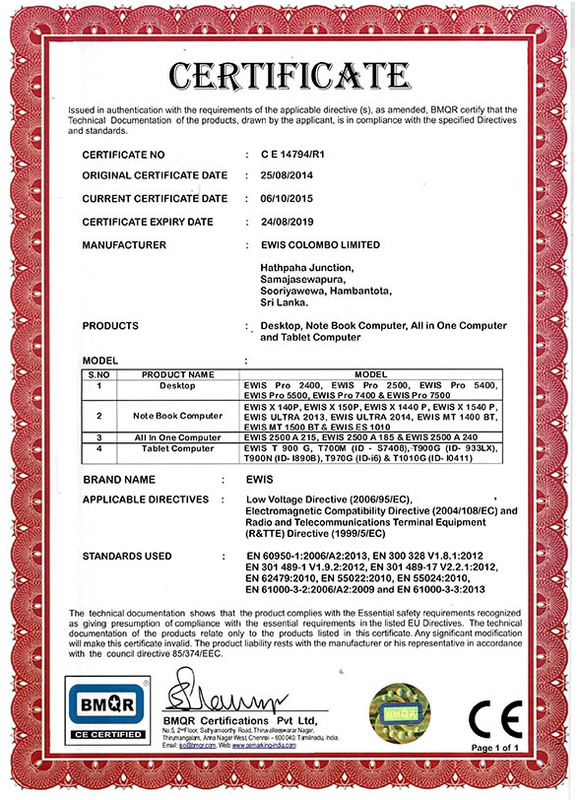 EWIS Colombo is a subsidiary of EWIS Group. Located at Hathpaha Junction in Sooriyaweva Hambantota, and spread over 25,000 square feet, the plant EWIS Colombo is the first and only original device manufacturer and specializes in computer manufacturing. Equipped with state of the art devices, EWIS Colombo houses more than 60 employees who work hard to reach the epitome of computer manufacturing and producing excellent computers to the Sri Lankan IT market. 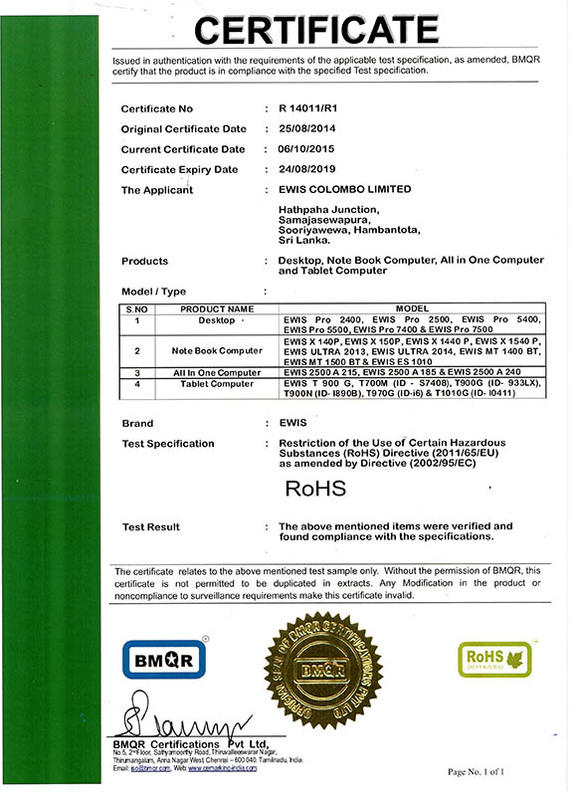 The plant is also the only computer production facility in Sri Lanka that has been accredited as a Microsoft OEM named partner and the only computer manufacturing plant with ISO 9001:2008 Certification. The production plant commenced on November 08th 2013 by the hands of His Excellency the President of Socialist Republic of Sri Lanka Mahinda Rajapaksa.